In the Connection Dialog have you different choices, in the Edit Field you can Enter the IP Address from one Host or from a Class C Network, where the last Oktet must be “255”. After this you can press the “Connect” Button to get the Login Dialog. Also can you press the “Browse / Adv Browse” Button, then WRC will search for Win32 Hosts and Display them in the ListBox. The “Adv Browse” Advanced Browse will maybe found more Hosts on your Network, but take longer time. Then can you select one or more Hosts form the ListBox, to connect, or if only one, you can Double Click them also to connect. “from File” Button, then press the “Connect” Button. At the Login Dialog you have to Enter the Username default Administrator and the Password. You can also use a Password File, to read them into WRC press the “PW File” Button to select your Password File, must be ASCII with one Password per Line. The Password File works with one or Multiple Hosts. If you only want to Login to the Remote Host, you can mark the Login only Checkbox, after this you can only use the “File Dialog” from WRC. Then you have to configure the integrated Remote Service, the Listen Port is the Port where the Remote Service later listen for incomming connections on the Remote Host (only for integrated Service). 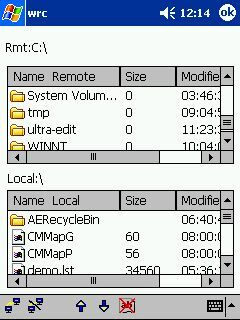 Then select the Remote Service Start Type, either automatic at Boot time on the Remote Host or every time manually started with WRC, after the Remote Host shutdown. You can change this later and install the Service again. 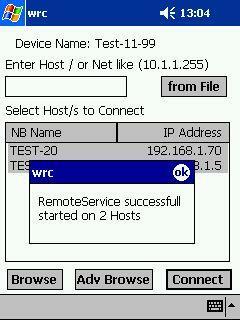 You can then also select your own Remote Service to copy and start with WRC at the “Costumer Remote Service” Button. After you started the Copy and Start Service Process, WRC comes back with a finish Status Message, where you can see on how many Hosts the Remote Service is successfull installed. 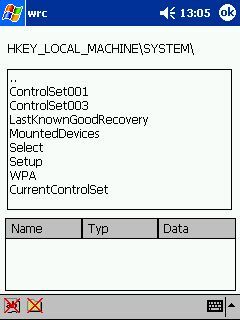 For more Informaton what WRC do, look into the Logfile. 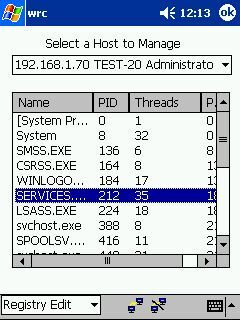 In the Manage Hosts Dialog, can you select the Hosts in the Combo Box where WRC successfull installs and starts the RemoteService. After selection press the connect Button in the Toolbar. Then WRC connects to the Remote Service, and gets the Proccesses that actually running on the Remote Maschine. 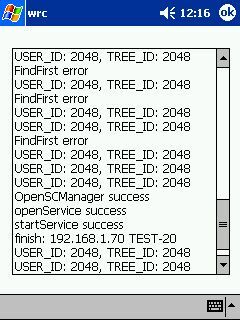 For every Process is the Name, the Proccess ID (PID), the number of Threads from the Proccess and the Parent Proccess ID Displayed. You can kill a Process while you doubleclick his corresponding entry in the Listbox. To Manage the Registry form the Remote Host click “Registry Edit” in the Toolbar Menu. After your work is finish press the disconnect Button from Toolbar. 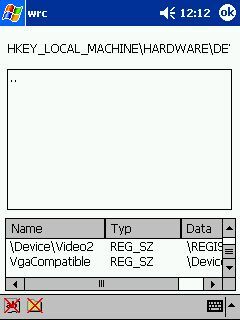 In the Registry Edit Dialog can you Browse the Registry from the Remote Host, you can also change Values, delete Values and delete Keys. To Browse the Registry doubleclick the corresponding Key Entry in the ListBox. press the delete Key Button from the Toolbar, Note if the Key have Subkeys, you must delete them first. To edit a Key Value doubleclick his corresponding Entry in the List Control Box down on the Display. press the delete Value Button from the Toolbar. In the File Dialog can you Browse the Filesystem from Drive c:on the Remote Host. To connect to the Remote Hosts Drive c: press the connect Button from the Toolbar. 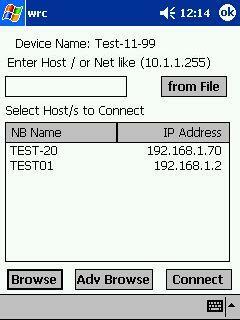 After this you get the Selection Dialog where you can select one of the listed Host in the Combo. This Hosts you have to do prior a successfull Login. To Browse the Directories doubleclick them in the Listbox. With the File Up Button can you copy Files from PPC to the Remote Host, mark the local File and press the File Up Button. With the File Down Button can you copy Files from the Remote Host to the local PPC, mark the File on the Remote Host and press the File Down Button. To delete a File mark them on the Remote Filesystem or on the local Filesystem and press the Delete File Button. After your work is finish press the disconnect Button. In the Logfile, get from the Main Menu, can you see what WRC does, while his work. In the Logfile Main Menu can you also delete the Logfile and you can delete the Hostlist, this are the Hosts where you successfull logged in.